Located at the foot of the Gros Ventre Mountains with a commanding view of the Teton Range, the Miller Ranch has been an integral part of the evolving settlement history of the Jackson Hole Valley for over 100 years. The Miller Ranch represents the coming together of settlement, ranching, and conservation in this isolated valley. Today, this valuable link to the past is owned and maintained by the National Elk Refuge. The aging wooden buildings known as the Miller Ranch have been on site since the turn of the century. A visit to the site allows you to step back in time and listen to the story these historic structures have to tell – a story of homesteading, ranching and conservation that mirrors that of the surrounding valley. The Miller House and surrounding land was the first property purchased by the Federal government to become part of the National Elk Refuge, established in 1912. 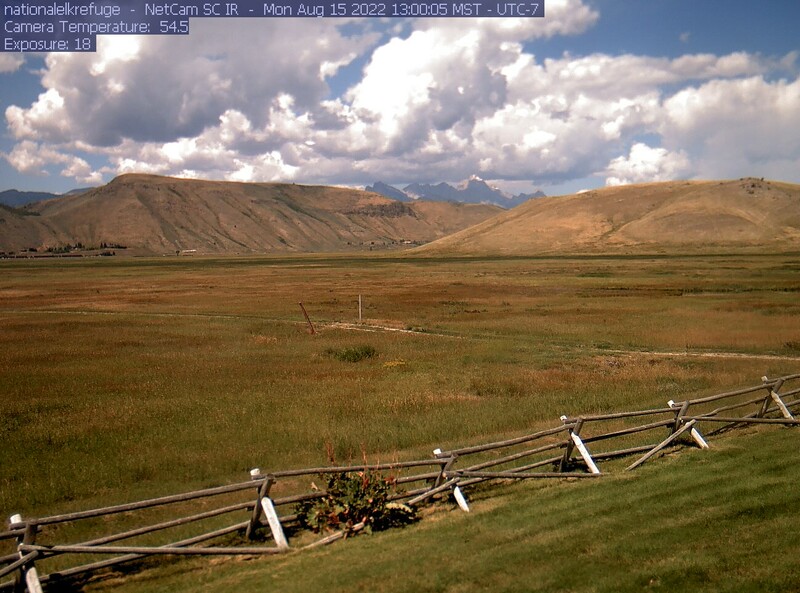 The historic site, located approximately 3/4 mile north of the National Elk Refuge entrance on East Broadway Street in Jackson, is open from 10:00 a.m. to 4:00 p.m. during the summer season. Volunteer staff are on duty to talk about the history of the National Elk Refuge and early homesteaders who lived on the land. Entrance to the historic home is free of charge. Depending on staffing, the historic Miller Ranch opens for the summer season on Memorial Day weekend and closes in mid-September. In 2018, the Miller Ranch will remain open through Sunday, September 23. Photos of the Miller House are posted in the National Elk Refuge's photo gallery. Robert Miller, born in Argyle, Wisconsin , arrived in Jackson Hole in 1885. He chose a homestead site that had a large spring nearby and included a cabin said to have been built by an outlaw named Teton Jackson. At the time, Miller's homestead claim was only the third to be filed in the Jackson Hole valley. In 1893, Miller returned to the east to marry Grace Green of Ottawa, Illinois. Together, they returned to Jackson Hole and in 1895 began construction on a two-story log home, the home that is known today as the Miller House. Their home was considered luxurious for its day and became the center of social activity for the homesteaders and ranchers who began pouring into the valley around the turn of the century. The Millers lived on the ranch site until 1914, when they sold their home and 1,240 acres of property to the federal government. The Miller House then became the headquarters for the newly-established National Elk Refuge. The Miller Ranch buildings are one of the National Elk Refuge's most important cultural resources. The property has three main structures of historic interest: the house, barn and U.S. Forest Service cabin. The Miller House opened to the public in 2005. A rehabilitation project in 2007 removed some of the contemporary furnishings that had been added over the years to give the house a look and feel more representative of an early 1900s home. Read more about the rehabilitation project here. Pets must remain on leashes to avoid potential disturbance of wildlife. Some areas of the Miller House are occasionally used for seasonal housing. Please respect the posted hours and do not enter areas of the home that are indicated as private. A short YouTube video (3:42 minutes) to give further insight into Robert and Grace Miller was produced by the Jackson Hole & Historical Society and Museum. Also of interest: The U.S. Geological Survey (USGS) installed a phenology web cam in August 2015 at the historic Miller House to assess changes in plant greenness throughout the year. The information will provide general habitat information for a variety of species. View the web cam image here.